Texas means “big” in America: immense vistas, thundering cattle herds, 10 gallon hats, and lots of wildlife. But a state as big as Texas has absolutely no chance of achieving landscape-scale conservation without the cooperatio n of the “little guys.” By this I mean individual landowners, of acreages both large and small. The reason: Texas is 95% private. I recently had the pleasure of checking in with Carter Smith, executive director of the Texas Parks and Wildlife Department, or TPWD. My history with Texas goes back decades. Carter recalls that he had just graduated from college and come to work at TPWD when their phenomenally successful private lands program was in development. It took off with the help of a grant from NFWF in 1992, one of our largest ever at that time. “When the program was developed, I had a chance to see it implemented,” said Carter. “The early 90’s were a watershed time for the Department in fully embracing the significance of private land conservation. What does the TPWD Private Lands Program do? TPWD wildlife management plans serve many functions. In many ways, they are the “blueprint for keeping common species common.” They may also help landowners to qualify for a “wildlife management use valuation,” for property tax purposes, subject to certain practices, such as habitat management, water enhancement, population surveys and monitoring. 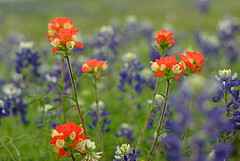 Carte r reminded me that Texas has 11 distinct ecological regions, including portions of the southern great plains, the southern foothills of the Rockies found within the Chihuahuan Desert of west Texas, the Edwards Plateau in central Texas, timberland in the east, prairies and marshes along the Gulf Coast, and the Tamaulipan thornscrub in deep south Texas. 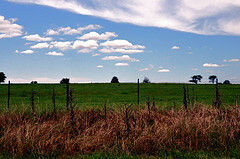 Grasslands are a big area of conservation emphasis, as they are in many other parts of the country. 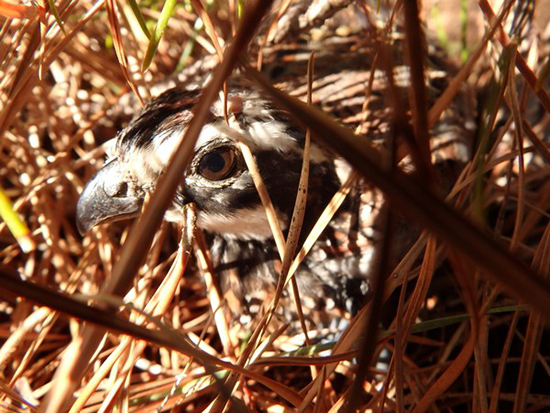 Landowners with suitable habitat and a large enough chunk of land can manage for species such as bobwhite quail, which are declining precipitously in the U.S. for a variety of complex and interconnected reasons. If done right, they’ll actually get huntable populations. Another concern: In the past several decades, “we’ve witnessed the single largest divestiture of private lands in Texas: the large timber companies have sold out to TIMO’s,” or Timber Investment Management Organizations. “These TIMO’s typically operate with a 10 year fund life, and their large institutional investors are expecting specific rates of return. As such, their time and profit horizons are very different from historic timber companies that managed for a range of values over the long term,” says Carter. "For example, with TIMOs, there are no long term set asides for conservation purposes, and it can be difficult for us to compete financially to lease long term public hunting lands."